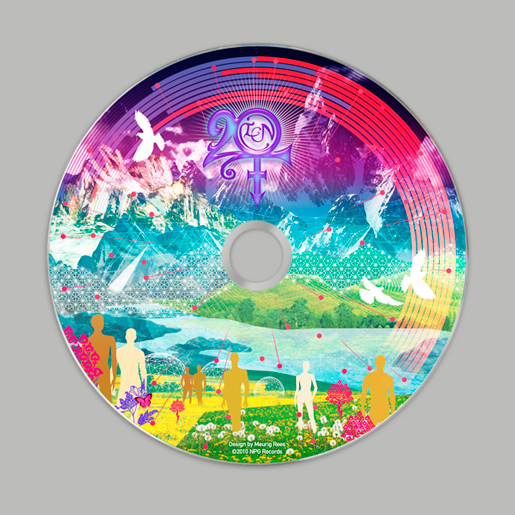 CD label design for Prince’s latest controversial album give-away ’20TEN’. Released in a 5” card wallet [feat. 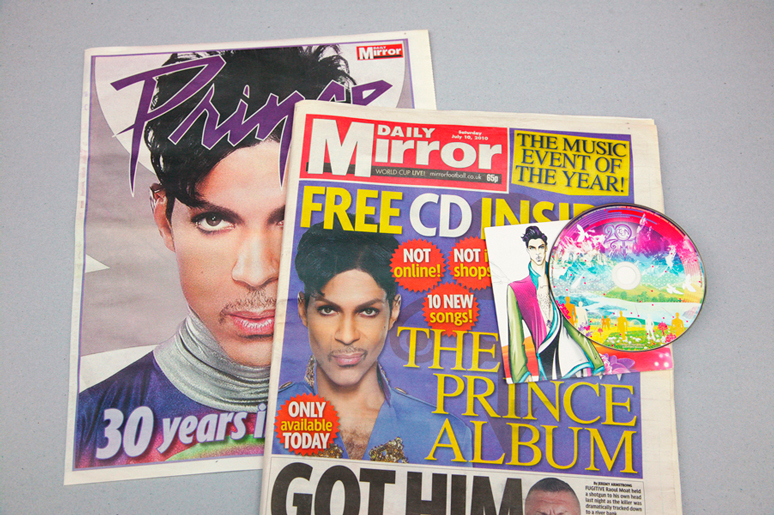 Fashion illustration by Prince’s clothing designer Debbie McGuan] in the Daily Mirror – UK & Ireland; Rolling Stone Magazine – Germany; Het Nieuwblad & De Gentenaar – Belgium; Courrier International – France. [©PA Photos] Prince honoured with a Lifetime Achievement Award at the 2010 BET Awards, LA.